See contact below to request a registration packet. 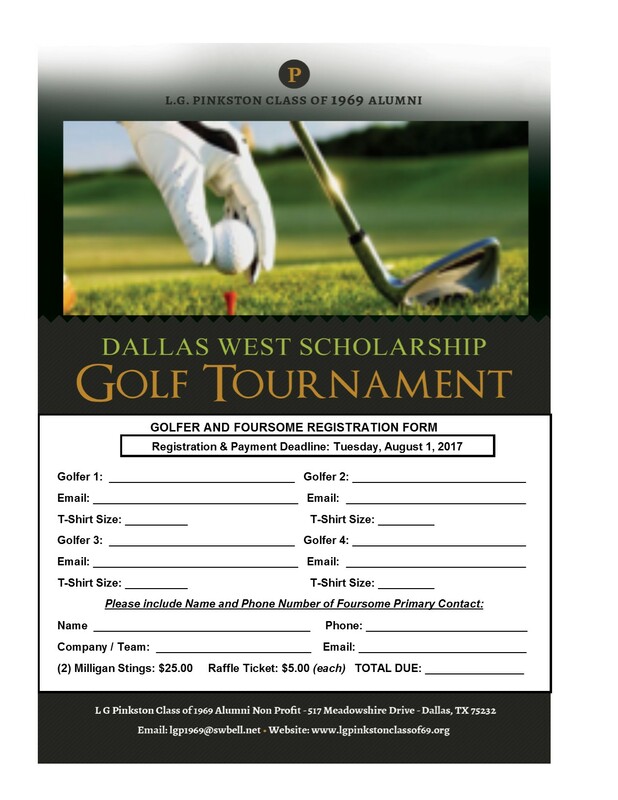 The Dallas West Scholarship Fundraiser Tournament will provide an opportunity for our great communities to network in a fun-filled. relaxed environment, while raising funds to benefit the graduating seniors of L G Pinkston High School. The L G Pinkston Class of 1969 Alumni Non-Profit organization is an association that has been in place to help graduating seniors of Pinkston High School with various senior fees. computers, laptops, and printers to student going off to a four year college or university since 2000. Please make a point of placing this event on your calendar. Be a part of something great an T-off with us. See details below for additional information on sponsorship, donation and registration. Sponsors Letter and Package Form: Click here for Package Donation Form. Sponsors: Click here for Sponsorship Agreement Form. Sponsor Fee: Pricing below includes Credit Card Processing Fee. Donation Letter and Forms: Click here for Donation Forms. The If you would like to pay by check, please complete the printable form and mail with your payment to 517 Meadowshire Drive, Dallas, TX 75232. Make check payable to LGP Class 1969. 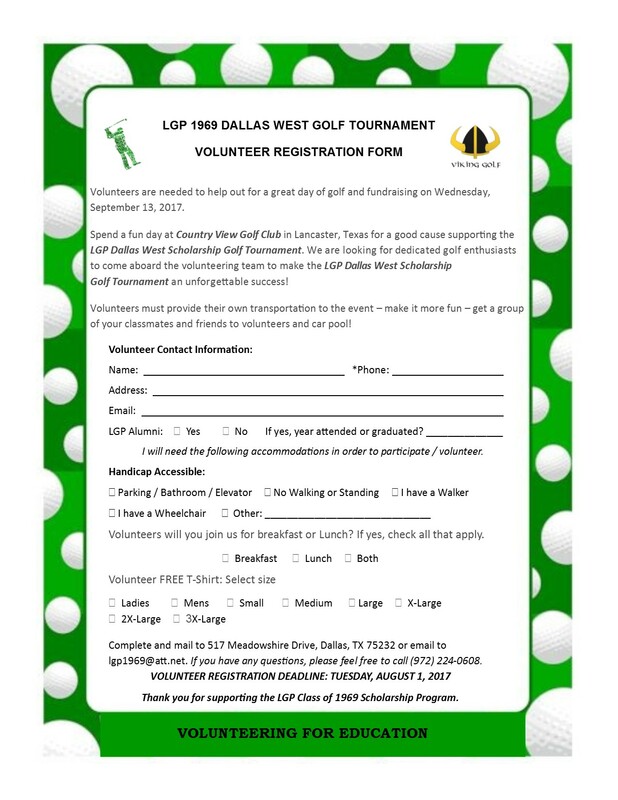 Feel free to email your form to lgp1969@att.net Thank you! L G Pinkston Class of 1969 Alumni Non-Profit organization is a 501(c)3 organization. All contributions are tax deductible. Volunteers are people who wish to contribute their time.